What does it mean to be a keeper at home? Well, surely it means to be at home, keeping it. And must we do it slovenly, and haphazardly, or shall we do as excellent a job as possible? The answer is, of course, we must do a good job. After all, it is our job. We cannot expect to lounge around, stay on the computer, stay on the phone, wake up late, play games and then have a clean, peaceful home with good and obedient children. How spoiled we have become! With our modern conveniences of dishwashers, washing machines and driers, microwaves, and even stoves, we have become rather lazy in our housework. We don't have to prepare every food from scratch if we don't want to. We can always pop in at the local store to pick something up to eat! Does this make our modern conveniences wrong? No, but it has made the job of keeping the home easier than it once was, and we therefore do not take it so seriously, perhaps. Of course this does not apply to all of us. But, if it does apply to you, you must decide to make a change for the sake of your family, and for the sake of the Word of God. "That they may teach the young women...To be keepers at home...that the word of God be not blasphemed." (Titus 2:4, 5) From this, I think it's safe to say that if we purposefully do not try our best to be good keepers at home and take this job seriously, then we are blaspheming the word of God. I have heard more than once excuses from mothers online who tell of how impossible it is to have a clean home or a peaceful home because they have children. Days at home are spent only rolling around with children playing games, making messes and not cleaning them up (which is of course fine because it wonderful and important to play with your children, but not at the exclusion of other responsibilities!) In reality many mothers are hiding away from the responsibilities of home by going from website to website, talking on the phone for hours, or plopping in front of the television for their favorite shows, while the children are left to themselves and learn to be unruly and idle. Mothers, if this is you, make a commitment to change, starting today! We are to be keepers at home, yes, but it does no good to be in the home if we are not being responsible keepers! Think of how it would be if you had a paying job outside of the home. Could you arrive whenever you wanted to? Would you show up in your pajamas and bed head? Could you decide not to do the tasks you had to do every day so that those you were responsible for would have meals, clean clothes, and a clean place to live? If you showed up late, looked like a mess, and didn't perform your assigned duties, you would surely be fired quite quickly! But do we take our jobs at home this seriously? We should. There are times of illness and other unexpected events that may keep us from our homemaking duties for a time. But this should be the exception, and not the rule. If you are having a hard time keeping up with daily tasks, it may be that you have too much clutter, and you should begin today by sorting through things to get rid of. Keep only what you absolutely need or is loved and adds beauty to the home. It is also important to have a daily routine or schedule, for you and your children. It will help you and them know what to expect each day, and you will be able to handle interruptions more easily as well. There are several books on keeping house available. A couple I recommend are Home Comforts: The Art and Science of Keeping House , which has everything you need to know about house-keeping, and Sidetracked Home Executives: From Pigpen to Paradise , which will help you get a system together for chores for you and your children. If you've been living for self and not for the well-being of your family, then repent of this selfishness and get busy making the necessary changes, one day at a time. God will surely help you to do the things you need to do to take care of your family, so don't forget to pray and ask Him to lead you and guide you. Let us glorify Him in all that we do. I've heard the "I have children" excuse so many times, and I just don't understand it. My youngest is 17 months old and he's not allowed to just make a mess and leave it. He needs my help, but his stuff is still picked up and put away when he is done with it. Growing up, my mom taught us kids that we had to put away what we were playing with before we could take something else out. Having a messy house because there are children present is not only a sign that the mother is not taking her role seriously, but that the children aren't being taught to pick up after themselves as well. I think also part of the problem (I know at least for me, it has been) is that many of today's women were not raised to be homemakers so they have no idea where to start and how to keep house! Thankfully there is the internet and books, though I don't think those quite replace learning about doing it all firsthand when growing up. That's a very good point. I'm so thankful that my mom modeled this for me! Lovely and encouraging post! God Bless you today! I was lucky to have a mother to teach me these things. Although, I have to say, that even though I did what needed doing in my early adult years, I didn't really have the deep appreciation for the things I was taught until the past few years. Now I can look back and know not only what my parents taught me, but why the felt the way they did on certain issues and why they lived the way they did. It took me some years and maturity to be able to gain that. I see so many young wives struggling with homekeeping. Like you said, the internet and books don't take the place of in-person teaching, but at the very least it is there for them now and I can guess that to a woman who didn't have a mother teaching her it could be a very good lifeline. I really wish the concept of the older women teaching the younger would be more thoroughly taught in our churches. I think that would help as well. That is a blessing, Jessica! Oh, you were blessed to have had a mother teach you those things! And yes, what a blessing it would be if the older women WOULD teach the younger women the things they need to know! Sadly many of the older women feel they have no purpose when the children leave the nest, and they go out to work. But seriously, I LOVE how you continue to encourage us as women to take our roles as Keeper of the Home seriously. God bless you! My mum was a wonderful homemaker, she kept a clean and tidy home, we had to keep our things in order (everything has a home), she made all our meals, she found time to sew, she did crafts, entertained and worked full time as a teacher. I can't remember my mum every saying she was exhausted. She was also a very devoted Christian lady her shared her faith with everyone she met. I never missed out on anything, my mum was a wonderful strong woman. As an adult, I use the same skills she taught me and I am able to run a home and work full time. When I hear people tell me that working women don't have time to cook from scratch or keep a tidy house, I say rubbish. It all comes down to using ones time wisely, not wasting time and keeping our house tidy in the first place. If you keep you home tidy, maintaining is easy. Being organised is the secret for any mother. As I work, I value my time and how it is used. 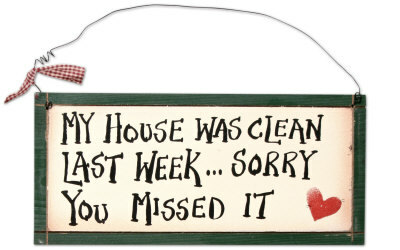 I get comments from friends all the time......'how do you keep your house so neat? How do you manage to cook from scratch?' All while teaching my two preschool age children formal lessons as well. We rise at 7:00 and we have until 5:00 (when husband arrives home) to play, clean, do laundry, have school, prepare supper. It really isn't that hard. If you clean a bit everyday, it is easier to keep up with. It doesn't even matter if I am sick. My 3 and 4 yr old have learned by example how to clean up and stay tidy. I enjoyed this encouraging post so much. I think I need to read it before I start my house-keeping jobs everyday. Thank-you very much Mrs.Q ! My mother was my teacher. She kept a beautiful clean house, everything had its place, all her meals were cooked from scratch, she sewed and knitted (all the time) and she was a full time teacher. She was inspirational. She brought up 4 children and helped her husband on the farm. She showed me that you can work and keep a lovely house - there is no excuse not to have a tidy home and dinner on the table by 6pm!! And thanks to her organisational skills I am also able to work and look after my house. Working women who say that they can't cook a nice meal for their family should look at how they do things, I watched my mother for years - she didn't waste time watching TV (We didn't have one) and she only read or knitted after the chores were done (by 7pm). Us kids were all expected to help with the dishes, cleaning, farm etc...My mother wasn't an exhausted mess either. She was (still is) a devoted Christian lady who wore her hair in a bun and long skirts!! Mrs. Q I agree with you. I do wish I had my house in order enough to have the time to visit all the lovely sites on my blogroll. Its also important to teach children to clean up after themselves and to take care of their own posessions and not leave burdens for their parents. It is good to teach them at a young age. Yes, so true that they need to be taught this! It is training grounds for keeping house later on, too. That is amazing. I just can't imagine how she could do all that, as I have our full days scheduled out (with no time wasted) and still don't have time to get everything done! That may because I have 6 little ones and 4 that I home school full time. I enjoyed this post so much. Plenty of wisdom here. I think to have a routine, or an organized schedule would help many. Wonderfu post, I am a huge fan of Sidetracked Home Executives!